Bipolar disorder is a relatively common mental issue in the U.S. that affects both females and males equally. With more than 3 million U.S. cases each year, many Americans have to face their day-to-day lives while coping with this condition. It’s an illness that is often linked to self-harm and suicidal ideation, and requires medical diagnosis by a primary care provider. In order for someone to be diagnosed with bipolar disorder, a primary care provide will typically perform a psychical exam on the patient, interview, and order additional lab tests. There are no blood tests or body scans that can detect bipolar disorder; however, these types of tests are used to rule out other possibilities contributing to the patients manic and depressive symptoms. If other illnesses are ruled out, the doctor will then proceed to recommend mental health care. 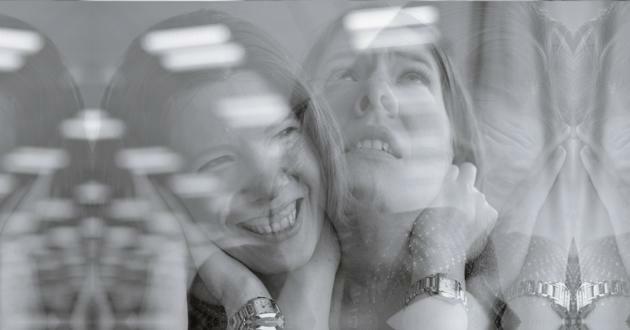 People with bipolar disorder experience a rollercoaster of abnormal mood swings ranging from manic highs to depressive lows — both which could last several days, weeks, or even months at a time. This phase tends to be more obvious as the person feels abnormally elated and, to those around him or her, may seem overly hyperactive and out of touch with reality. In this phase, the person may report feeling fatigued, having low motivation, and loss of interest in daily activities. Bipolar disorder is a complex disorder that can be broken down into multiple categories, depending on the person’s periods of high and low moods. Here are the four basic types of bipolar disorder. For this diagnosis, a person must have experienced at least one major depressive episode and one manic episode lasting about 1-2 weeks. A person may experience making irrational decisions like suddenly spending lots of money, using drugs, or engaging in risky sexual activities. Often times, a manic episode can also be so tense, a person may need to be hospitalized during this period. Like bipolar l, a person must meet a certain criteria that involves at least one depressive episode lasting two weeks and one hypomanic episode lasting a minimum of four days. Depressive symptoms may include feeling sad or hopeless. Hypomanic symptoms are not as severe as manic episodes and can often be misdiagnosed. This milder form of bipolar disorder doesn’t fully meet the criteria for having consistent hypomanic or depressive episodes. The person may experience unstable moods for long periods of time and have a few weeks or months with normal moods. When a person doesn’t meet the criteria for any of the three categories listed above but still experiences periods of abnormal elevation in mood, this diagnosis is used. In an attempt to cope with dramatic mood shifts, those with bipolar disorder often resort to self-medicating themselves with drugs or alcohol, which make them particularly vulnerable to becoming substance dependent. According to Substance Abuse and Mental Health Association (SAMHSA), about 1 in 4 people with mental health issues also tend to suffer from substance use disorder. Those with bipolar disorder will often use specific substances to take the edge off their manic and depressive symptoms. For example, someone going through a manic phase may opt for alcohol, which is a downer. Meanwhile, someone in a depressive phase may abuse ecstasy or other club drugs in an attempt to boost their moods. Unfortunately, people who abuse substances to cope with their disorder may experience short-term relief and assume they’ve found a solution. In the long run, they find themselves putting their health and lifestyle at an even higher risk. Some reports also suggest that substance abuse may “uncover” bipolar disorder, as it can lead to an increase in manic episodes that might otherwise go unnoticed. There are many challenges when treating those with co-occurring bipolar disorder and substance addiction. Issues typically arise due to the similarities between symptoms of alcohol and drug abuse, and those of bipolar disorder. At the point when an individual is ready to seek help, it can be difficult to pinpoint where one disorder ends and the other begins. It is important to find a facility that specializes in treating dual-diagnosis cases or multiple comorbid disorders as they customize a program that can tackle more than issue at a time. Some bipolar patients have the unfortunate experience of entering a drug and alcohol rehab program only to find that they don’t respond well to traditional treatment. This can be a disheartening experience that can cause them to forgo their recovery goals altogether and develop a lasting distrust towards addiction professionals—all because their initial efforts fell short. Bipolar disorder has many layers and need to be addressed by a team of professionals with backgrounds in both mental health and addiction rehabilitation. Patients must also participate in constant communication with his or her team to be able to monitor whether the treatment plan is working or needs modification. A key benefit to inpatient treatment for a co-occurring bipolar disorder is that during the rehabilitation process, the patient will have 24-hour medical supervision from addiction specialists. This is especially critical when patients are experiencing suicidal thoughts and at risk for inflicting self-harm. Staff members at a residential facility are trained to handle critical situations with care compared to do-it-yourself efforts at home. ion regularly, this treatment option may be the best fit. At an inpatient rehab, the individual will receive assistance with regulating sleep patterns, adjusting to a daily schedule, and learning new ways to cope with their condition. For individuals who are unable to take time out of work or other responsibilities, outpatient treatment may be a good fit. Many treatment providers offer or recommend day treatment as an option to some patients, especially if the patient has already attended an inpatient rehab in the past and is looking to continue working towards addiction recovery. Lithium: a mood stabilizer used to control symptoms of mania. Selective Serotonin Reuptake Inhibitor (SSRI): an antidepressant used to ease the symptoms of depression. Patients must avoid any drug or alcohol use while taking bipolar disorder medication as these substances can intensify symptoms and cause more problems. Overcoming the hurdles that come with living with bipolar disorder can make a challenge out of day-to-day interactions. But now more than ever, patients and family members have a multitude of tools and resources to help them better manage the disorder right at their fingertips. If you or your love done are suffering from bipolar disorder and are also facing addiction, know that there are specialists out there who have chosen to dedicate their lives to help people like you change the trajectory of your life. To browse for bipolar recovery centers near you, view this directory of bipolar recovery centers or call 800-772-8219 to speak to a treatment specialist who can discuss your options.